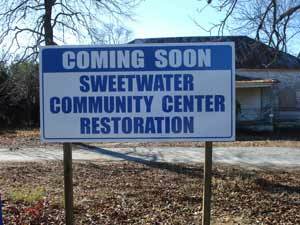 For those of us who have been watching and waiting for the progress of the Sweetwater Community Center. The attached sign has now been placed at the Community Center. The statement below is from Genia Blackwell, our Merriwether District Councilman and Vice Chairman of the County Council. It is due in large part to her efforts on behalf of our community that this revitalization is taking place.